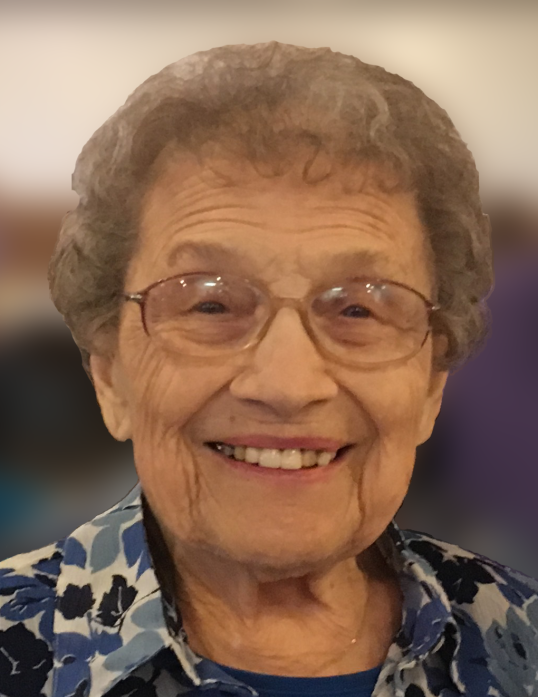 Freida Mae (Bost) Craig, 96, of Wenona, passed away Monday, September 3, 2018 at Heritage Health: Therapy and Senior Care in El Paso. Visitation will be at the Rutland Christian Church in Rutland, where Freida was a long-time member, on Sunday, September 9th from 1:30 to 3:00 PM. A Memorial service will follow at 3:00 PM conducted by Curt Schleich, the husband of Freida’s granddaughter Carrie. Burial will be at a later date in Rutland Cemetery. The Hurst Funeral Home in Wenona is handling her arrangements. Freida was born in Dana on May 8, 1922, the daughter of Thomas Archie and Thelma Lucille (Burris) Bost. She grew up in the Dana and Rutland area. She married Donald Arthur Craig on June 16, 1945 and farmed near Rutland. They had four children, Barbara (Alan) Kline of Lincoln, Richard Craig (deceased), Nancy (Jim) Stephens of Rutland and Bruce Craig of Wenona. She also had 7 grandchildren, 10 great-grandchildren and 1 great-great-grandchild. Survivors also include her aunt Darlene Leonard of Webster Groves, MO, uncle John D. Burris of Union Hill, AL, and several nieces and nephews. She was preceded in death by her husband on December 18, 2007, her parents, one son Richard and one sister Veldalou Renken. In 1944, Illinois State University granted Freida a Bachelor of Science in Education, with a focus in Home Economics. She spent most of her life as a restaurant cook and as food service supervisor at three different nursing homes in the area. In her retirement, she worked as a personal care-giver and as a library assistant at the Bond Public Library in Wenona. Memorial contributions may be made to the Rutland Christian Church in Rutland or the Bond Public Library in Wenona.